Relocating can be stressful at the best of times, but if you plan the operation well in advance, the chances are, the experience will be without incident, but with two properties to juggle simultaneously, things can easily get on top of you. If you are about to move home for any reason, here are some tips to help make the operation go smoothly. The Right Removal Company — This almost goes without saying, and the many families who thought it would be better to go down the DIY road, would soon testify that sourcing the right removal company is half the battle. An experienced mover can offer packaging services, and the team are well-versed in safely packing and transporting a range of items, and that takes all the stress out of the experience. Hire a Skip — One might not think it necessary, after all, what could you possibly want to throw away? The fact of the matter is, there will be lots of unwanted items, which you cannot simply leave behind, and by using a reputable skip hire company, such as Kwik Skips, you can be sure that your unwanted items are recycled responsibly. We have a range of sixes, and with prompt delivery and collection, there will be no disruption to the busy moving schedule. 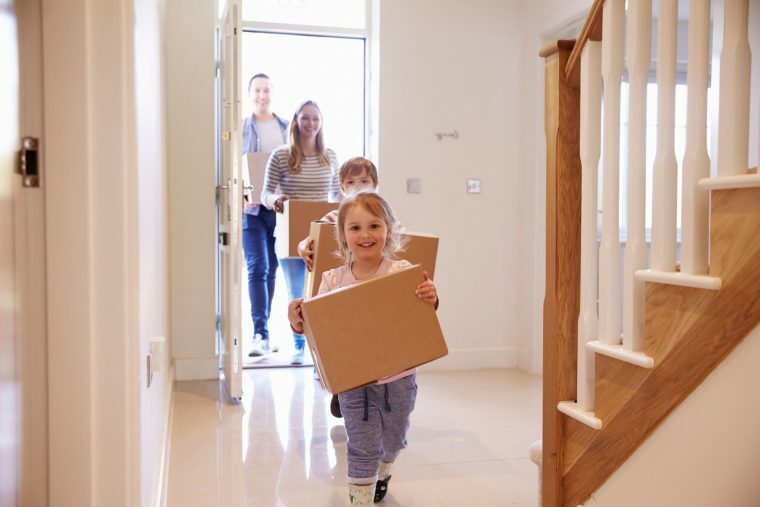 Temporary Storage — Often, the new dwelling is not quite ready to inhabit, and if you have some secure storage space, things will not be held up, and you can complete the move at your leisure. There are some removal companies who can provide temporary storage, should there be a hold up in the chain, and with all your valuables safe, you can relax and enjoy a night at a nice hotel, safe in the knowledge that all your items are safely stored. Cleaning Equipment — Ideally, you need two sets of everything, one for the house you are leaving and one for the new dwelling. Brooms, brushes and cleaning solutions are all essential when moving home, and it never hurts to have an unlimited supply of plastic bags, which always come in handy. A Checklist — There are so many things to do, you can’t leave anything to chance, and with all the essential contact numbers firmly embedded in your smartphone memory, you should be able to handle the entire operation. Make sure the utilities are turned off at the old home and are already connected in the new residence prior to arrival, and if you have the time, organise someone to spring clean the new home a few days before the move. With the skip already ordered, you can begin to go through everything and decide what is going and what is not, and by piling up the unwanted items in the garden, when the skip arrives, it can be taken away by the same driver a few minutes later, if you are organised, that is. If you are moving in the Perth area and need a skip, contact us today and we’ll make sure the skip is ready when you require it.